HomeEducationElectricityHome safetySafetyElectrical Safety Tips during the Holidays! Electrical Safety Tips during the Holidays! Electricity is one thing that we end up taking for granted. All of us know, we can barely lead our lives without it. Each function in our lives involves the use of electricity, and we would just be grasping in the dark without it, quite literally. We use it to increase comfort and convenience, and a life without electricity would be unimaginable. But, as good and useful as electricity can be, there can be times when it backfires. But mostly, it’s because of our own goof-ups and neglecting it. In spite of how integral role electricity plays in our lives, we tend to neglect the need for regular maintenance which can prove to be a grave mistake later on. And with the holiday season coming up, it’s the time to be extra careful when dealing with anything electrical. These are one of the most festive seasons of the year; and practically, everything is decked up with as many lights as can be found. So, you need to take proper precautions in order to prevent any mishaps from taking place. Give a thorough check of all your electrical lines and circuits by hiring a licensed electrician. 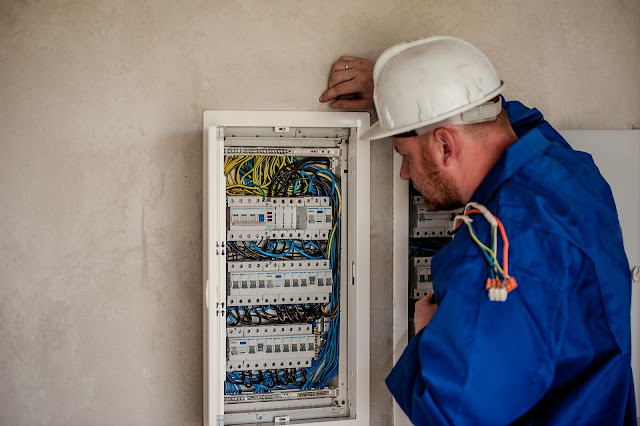 Ambient Electrical is one such well-known service who provides skilled, experienced, and licensed electricians to take care of all your electrical needs. Be it any odd hour of the day or night, they will be at your doorstep to help you. Safety tips to avoid electrical accidents : Holidays are one of the most decorated times of the year, when houses all over the globe are decorated with bright lights. But, unfortunately it’s also the busiest time of the year for fire fighters. So, it’s very important that you be cautious of the lights that you string across your house. Follow these simple safety tips to protect yourself and your family from electrical shocks and fires. And in case you need any help, call up an emergency electrician immediately. If you are using a real Christmas tree, make sure to keep it watered always. Dry trees are most probable to go up in flames. By keeping it watered, you will prevent the chances of it becoming ignited due to an electrical shock or malfunctioning lights. Before you actually put up the lights, make sure to check each of the strands properly. This will help you notice any damaged or frayed cords, ends, or loose connections if any. Also, for the lights that don’t have fused plugs, replace them as fused plugs helps to prevent short circuits. Always use the lights for what they are actually made for. Use indoor lights inside and outdoor lights outside. Don’t mix up their uses as indoor lights generally have thinner insulation and can get easily damaged when exposed to weather elements. Make sure to never use tacks, nails, or screws to hang up and hold your lights in place. You should always take the help of insulated hooks so that there are no short circuits. Also whenever you are not at home or sleeping, make sure to turn off the lights. After its use during the holidays, keep it stored in tightly sealed containers. You should ensure that you elevate the plugs of any cords which are found running on the floor. This will prevent them from getting damaged due to snow, water, debris etc. that could lead to short-circuits. In case of extensions, make sure to tape them in place. It will prevent people from tripping over them. Make sure to not put too much pressure on the electrical circuits. This could lead to overheating and tripped breakers. Also, replace any burned out bulb with a bulb of the correct wattage. So, these were some of the main electrical safety rules that you can’t afford to break. Nobody is stopping you from decorating your house the way you want to. But, you just have to do some electrical safety planning, and follow the above tips to avoid any kind of electrical mishap.